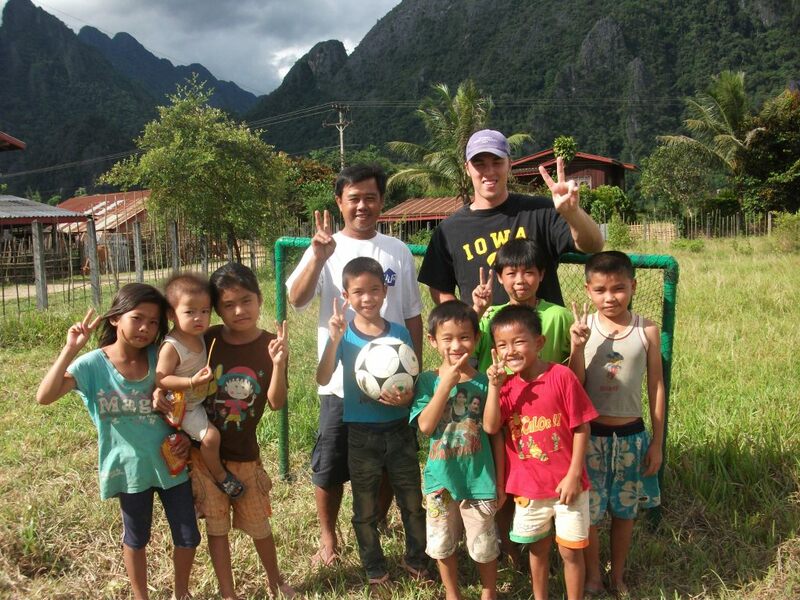 Sam Wheeler (’09) has spent over a year working and traveling across Asia including his most recent project, Football for Nature. He set up shop in a mountain village in Laos and began working with the locals to educate them on environmental awareness while enjoying a game of football (soccer to us here in the USA). Below is the “recipe” for Football for Nature (F4N). You can learn more about the project by checking out Sam’s blog here. Sam’s service work is a true demonstration of Pi Kappa Alpha’s global reach.